Socialist Fight Comment the Greek Elections of 2012. In the maelstrom of political confusion that is the Greek left Alexis Tsipras, leader Synaspismos and of SYRIZA now emerges as the central figure. The historical figure that Tsipras reminds us of is Largo Caballero, the Spanish left wing socialist leader of the 1920s and 30s, who assisted the Stalinist to betray that great revolutionary struggle. This election shows a swing to the left but no real revolutionary perspectives. All serious revolutionaries in Greece must now turn to the mass base of this movement and to its youth in particular, not capitulating to its leadership but politically attacking their betrayals and exposing their lies and making solidarity united front pacts with them in action where they are forced to fight the class struggle. Trotskyists must seek to enter the youth movements, the KKE’s Communist Youth Movement in particular (if safe to do so), just as Trotsky advised the POUM and Andras Nin to enter the PSOE youth in the early 30s. “In such conditions, the KKE’s policy, refusing to form a coalition with the other left parties on the grounds that it would be a bourgeois government, is a massive obstacle to keeping out the pro-austerity right and centre right parties”. But it would be a bourgeois and so a popular front government. The fact that popular frontism is opposed by Stalinist third periodism is neither here nor there. For Trotskyists the answer to the third period was the Leninist tactic of the working class united front, not the Stalinist rightist popular front with liberals and bishops against fascism (or austerity today). But there is still no elaboration of the programme of the United Front. They make no calls for a rank and file movement in the trade unions to fight the treachery of the bureaucracy, surely the only way to put revolutionary propaganda into practice. They do not participate in Antarsya on the basis of a fight for revolutionary leadership. In particular there is no estimation of how to intervene in the EEK or its youth, the Communist Youth Movement. We know they have the politics to fight for the revolution. But they lack the method. The WRP’s fake All Trade Union Alliance covered for its lack of consistent TU work by its adulation of left bureaucrats at their bogus ‘conferences’. Thus they hid the fact that they only opposed the bureaucracy with propaganda. 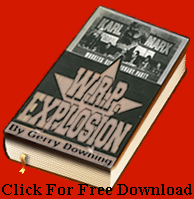 The objectively developing crisis was supposed to propel the ranks of the working class into the WRP and a fiery speech from Healy or Banda would win the leadership of the masses and so the revolution. Savas Michael-Matsas after his release from the charges against him brought by the Golden Dawn. The popular wrath against the barbaric austerity imposed on Greece by the EU, the European Central Bank and the IMF has exploded in the early parliamentary elections of May 6th leading into a crushing and humiliating defeat both the ruling bourgeois parties, the right wing New Democracy (ND) and the “socialist” PASOK, as well as all the neo-liberal servers of the troika’s Memorandum. The two parties that ruled the countries for decades after the fall of the military dictatorship in 1974, ND and PASOK, have fallen into a pathetic minority, combining together less than a third of the votes. 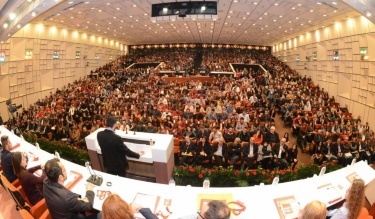 For the first time after more than a half century, a party of the Left, the reformist SYRIZA with his radical anti-Memorandum rhetoric and movementist look, has been catapulted in the second rank, nationally, becoming the Official Opposition in the country and the biggest party in Athens, the capital region, Thessalonica, and the main cities in the provinces. There is an obvious left wing turn of the majority of the people. Unfortunately, social misery, polarization of inequalities, and national humiliation-not to mention the political blindness and electoralist complaisance of the reformist, Stalinist, and centrist Left- became also a fertile field for far right nationalist demagogy leading to a spectacular growth not just of the far right “Independent Greeks”( a split from the ND) but above all of the openly neo-Nazi party of the “Golden Dawn”, which jumped from a few thousands votes in 2009 into nearly a half a million in 2012, entering for the first time in Parliament. In general, apart from the electoral triumph of SYRIZA, there was a relative increase of the vote for most of the parties of the Left. The Stalinist KKE, although winning a few thousands more votes, lost its hegemonic primacy among the parties of the Left, and it has fallen from the third rank that traditionally it occupied among all the parliamentary parties to the fifth rank. The biggest losses for the KKE were in the proletarian areas in the Athens region and in Thessalonica. 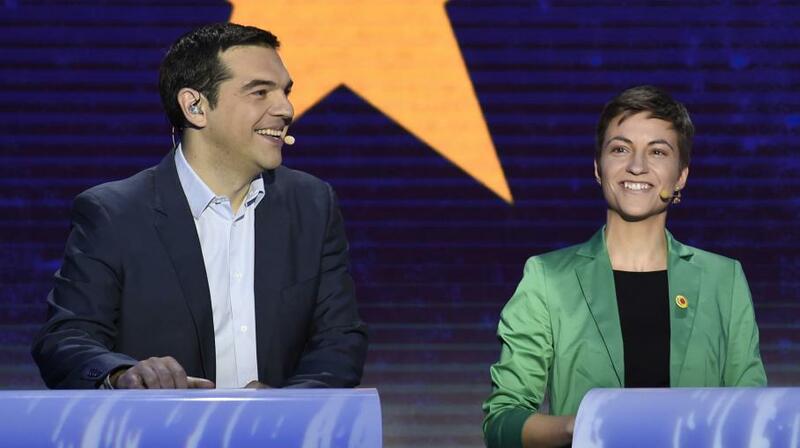 But there is another, very important reason for their defeat in relation to SYRIZA. In defaulted Greece, the regime crisis has put on the agenda urgently the question of power. The KKE advanced vaguely the slogan for a “workers’ popular power” and “socialization of the monopolies” but as a remote possibility in the far away future, “because, now, the objective conditions and relationship of forces are not yet mature”, as the Stalinists claim. On the contrary, SYRIZA has raised the immediate need for “a government of the Left” (although without a revolutionary overthrow of the bourgeois regime and State). The slogan for “a left government” had received a great popular response, despite its vagueness and covering up of the class nature of the State power (Tsipras, the young leader of SYRIZA, even mentioned as an example to follow the tragic precedent of the Allende government in Chile, defending also the Popular Front line of the Comintern in the 1930s). Nevertheless, as previously with the demand for a direct democracy regime during the occupying the squares movement in 2011, the popular response to the prospect of a government of the Left does not reflect only a dangerous illusion but also the ripening of the subjective conditions in the mass social consciousness for an alternative power of those from below against those ruling from above. It is a contradictory, distorted reflection of the immediate need for a struggle for working class power. The Trotskyist EEK, while criticizing sharply the popular front line in the “left government” slogan and pointing out the dangers, precisely from the tragic precedents in Spain, Chile and Greece, insisted on the urgent need for a revolutionary socialist way out from the capitalist crisis, with the overthrow of the capitalist regime and the establishment of a revolutionary workers government and workers power, as a step towards a United Socialist States of Europe to be build on the ruins of the imperialist EU. Our Party increased modestly its vote in every electoral district all over the country, particularly in the proletarian areas of the capital and of the main cities; but more importantly it developed further its political influence and organization among advanced workers and youth. The Maoists of the KKE ml and of the ML-KKE, although they joined this time after decades their forces in a common bloc, they received less votes than the sum of the votes of both parties in previous elections. The moderation of their political program, restricted just to a defence against the austerity attacks and in defence of national independence, failed to arise much of response in a social milieu very radicalized the last two years. ANTARSYA, the “broad anti-capitalist Front” of ten centrist organizations, increased its vote in relation to the previous 2009 parliamentary elections but retreated nationally in relation to the 2010 regional elections, falling from above 2 per cent to just above 1 per cent. As the leaders of ANTARSYA have cultivated the most wild illusions about their “certain entry into parliament with eight anti-capitalist deputies”, campaigning against their competitors in the far left, presenting as “a lost vote” any vote to the EEK, following the worst traditions of electoralism, now they are deeply disappointed from the results, plunging again in crisis. Some of the organizations of this anti-capitalist Front are already looking towards SYRIZA, while others, particularly in NAR (New Left Current) speak about their “deficit in strategy and program” as the reason of the defeat of their electoral expectations. This “deficit” was already pointed out by the EEK: ANTARSYA and NAR call for the overthrow of the bourgeois government but they find “immature” the conditions to advance a call for workers power; it calls (as the EEK does) for an withdraw from the EU and the euro but it returns to national isolation by rejecting the alternative advanced by the EEK for a revolutionary struggle for the socialist unification of Europe. More than 20 years after their split from the KKE, the NAR remains prisoner of the Stalinist legacy, particularly in relation to the Popular Front and the nationalist outlook. It is noteworthy that most of the central strategic problems that counter-posed Trotskyism and Stalinism in the 20th century- permanent revolution versus socialism in a single country, united workers front versus popular front of class collaboration, the struggle against fascism, the decline of bourgeois democracy and the dictatorship of the proletariat, the need for a revolutionary International, the question of the State, the dangers from bureaucracy etc.- have found now urgent actuality in Greece and they are discussed among the most militant sectors. As it becomes extremely difficult even the formation of a coalition government in Greece now, and eventually new elections very soon could not solve the problem of power, the political crisis is escalating in the country and all over Europe. The questions of revolutionary strategy and tactics, of a program for the systematic mobilization of the masses in preparation for the seizure of power by the working class supported by the pauperized masses, of organization of the revolutionary vanguard are more urgent than ever. « Serious Concerns about the PCS Union.